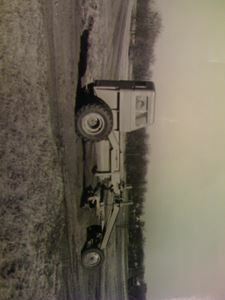 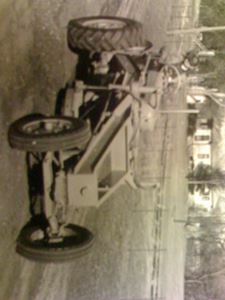 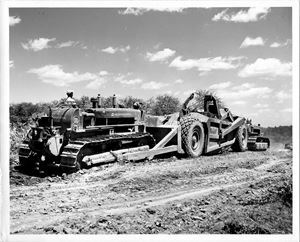 Please share your vintage photos of old equipment back when it was new! 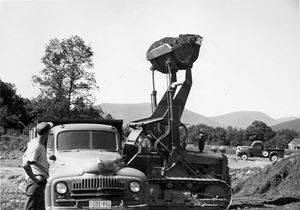 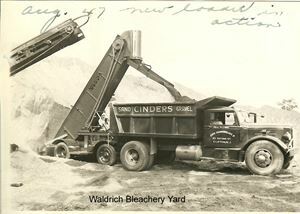 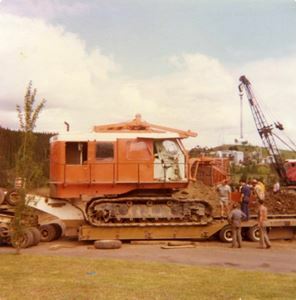 Koehring 3.5yd shovel, linkage control, set up for Dragline duties, had been working at the Readymix Quarry St Marys, NSW, Australia, brought over to Prospect Quarry, floated to Queensland. 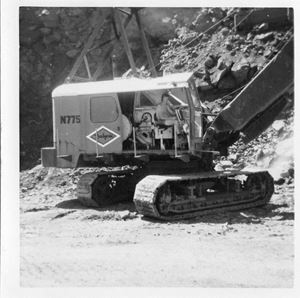 Northwest 80D, Readymix quarry St Marys/Erskine Park, New South Wales, Austalia, early to mid 1970's, dad used to operate, counter weight was made up by the fitters. 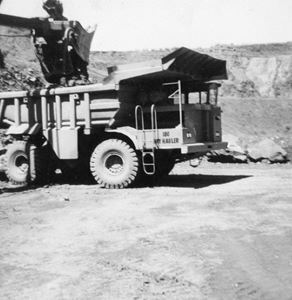 Northwest 80D at the Readymix St Marys/Erskine Park Quarry, New South Wales Australia, early to mid 1970's, Dad was the operator but due to injury being operated by 'young' Pat Egan. 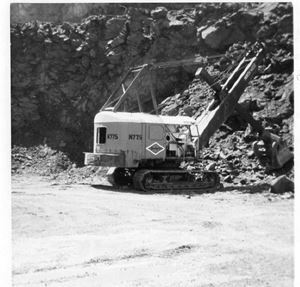 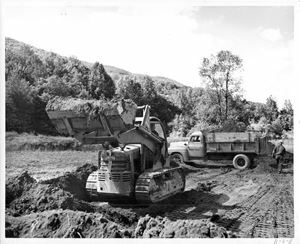 Early 1960's, Australian Blue Metal Quarry St Marys/Erskine Park, NSW, Australia, prior to the take over by Readymix, this si a Lima 1201 whith shortened tracks, 2nd hand from UK. 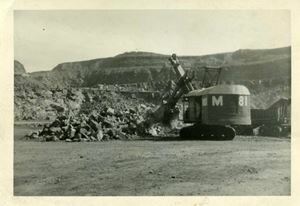 There is no information about this image, but to judge by the clamshell dredge it probably shows levee construction in central California in the late 1930s. 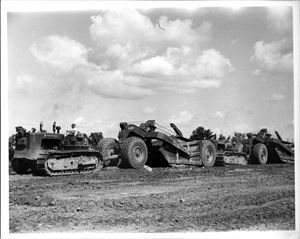 R. G. LeTourneau Inc. image, HCEA Archives. 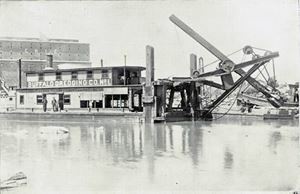 Buffalo Dredging Company Dredge No. 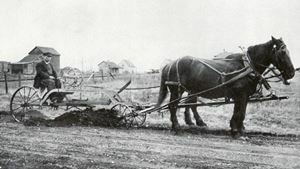 1, a product of Toledo Foundry & Machinery Company, circa 1898. 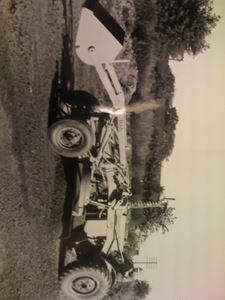 Image from Toledo Foundry & Machinery Company catalog, HCEA Archives. 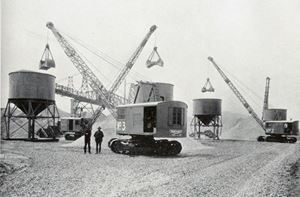 Three Northwest 1-yard clamshell cranes at work, Dolomite Company, Detroit, Michigan. 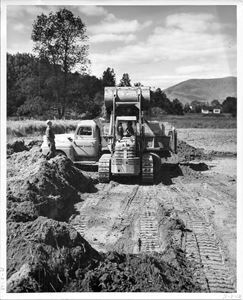 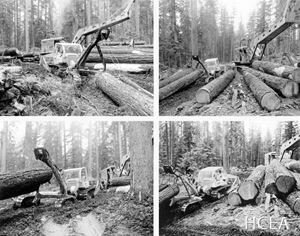 Image from Northwest Engineering Company catalog, 1929, HCEA Archives. 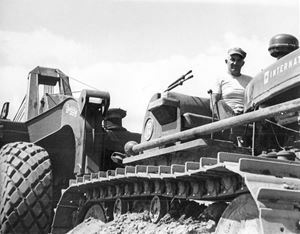 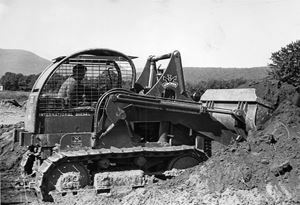 Western Patrol Grader No. 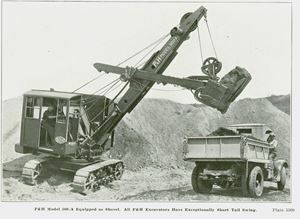 2, from 1925 Austin-Western Road Machinery Company catalog, HCEA Archives. 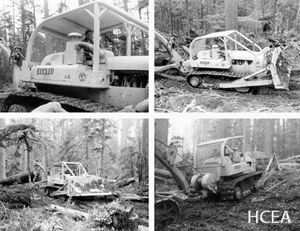 Brownhoist No. 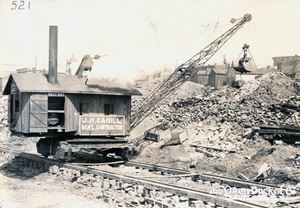 4 Locomotive Crane with Schnabel 1-yard rear-dump dragline bucket. 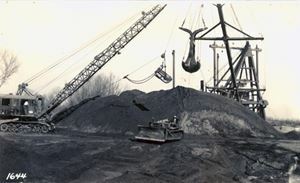 This was a rare application for a locomotive crane! 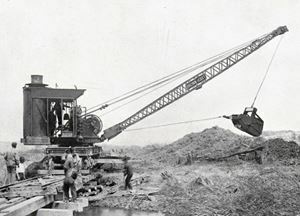 Image from Brown Hoisting Machinery Co. catalog, 1919. 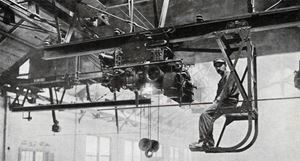 Brownhoist Electric Hoist on motor-driven trolley with light operator’s seat trailer, all on a Brownhoist Electric Transfer Crane. 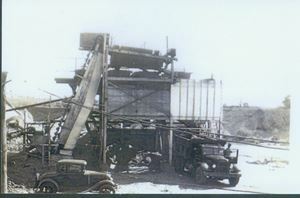 Image from Brown Hoisting Machinery Co. catalog, 1919, HCEA Archives. 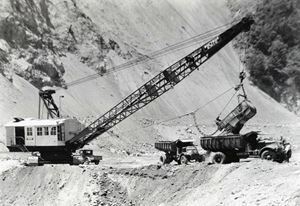 Bucyrus-Erie 120B electric dragline loading Mack end dumps, San Gabriel Dam, California. 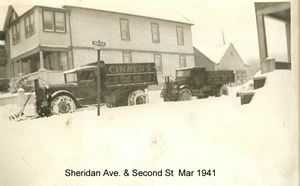 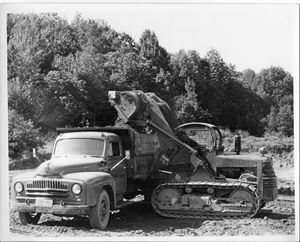 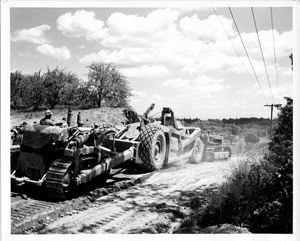 Image from Bucyrus-Erie Company Collection, HCEA Archives. 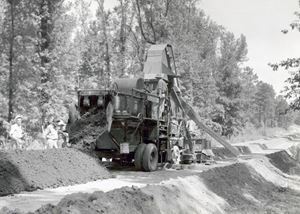 Barber-Greene 842 travel plant, Hardaway Contracting Company, Raleigh, MS. 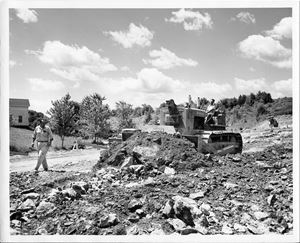 Image from Herbert W. Coles Papers, HCEA Archives. 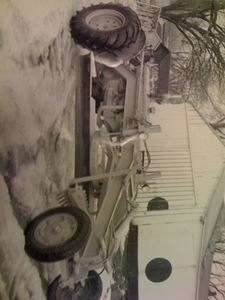 From Owen Bucket Company catalog, Robert Schaeffer Papers, HCEA Archives.